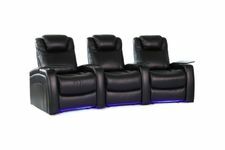 HTDesign First Class Theater Seating Fast! 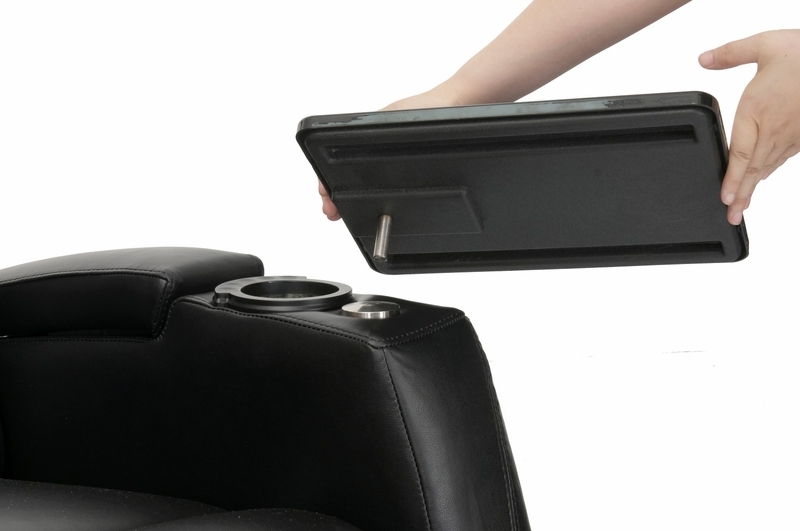 The Paget is the first spacesaver seat on the market with storage arms. Check out our video as we show the quality of a HTDesign seat by tipping it over so you can see the inside of the chair. The Paget is loaded with features at a great price. It ships out within just a couple days. 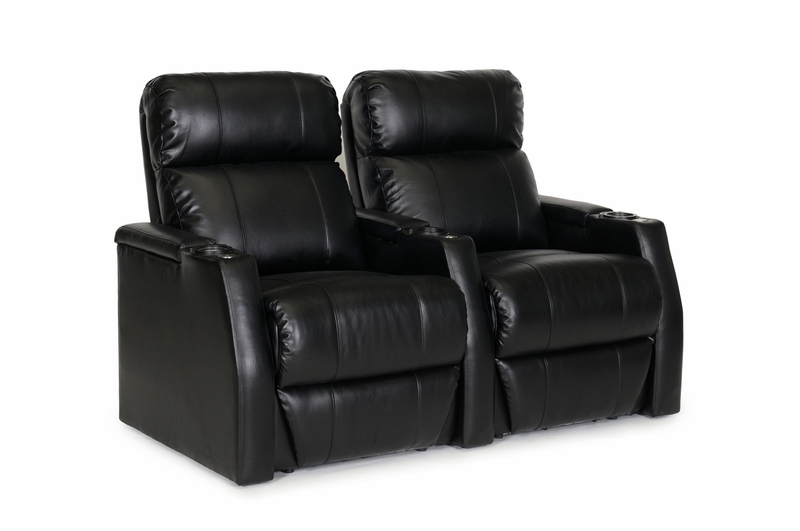 You can usually fit four seats across in your room as it measures just 119 inches wide for four. 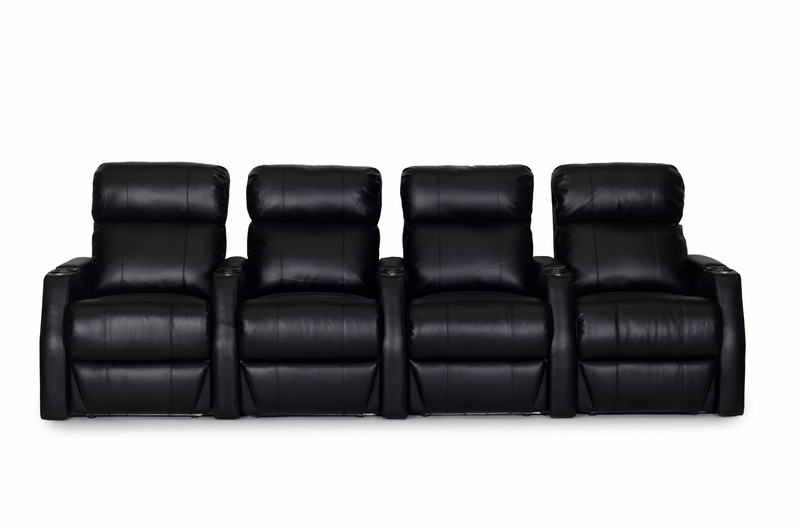 IN STOCK in rows of 2, 3, 4, 5, 6 and row of 4 with loveseat. 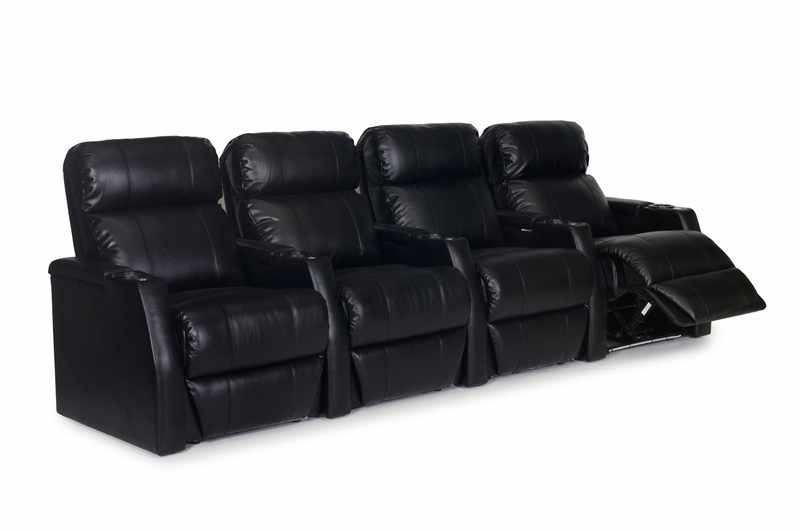 In addition, a row of 2 Loveseat and row of 4 double loveseat and other configurations available. 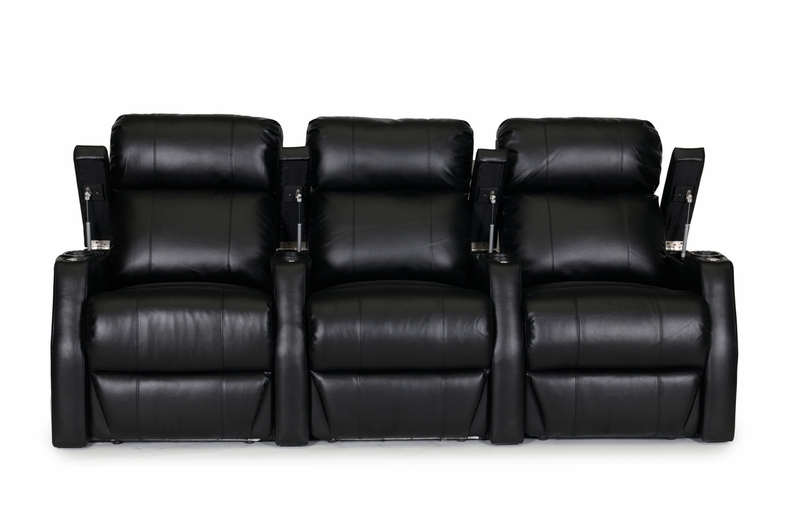 Call one of our Home Theater Seating Consultants at 888-764-9273, we will help with space planning and seating configurations. 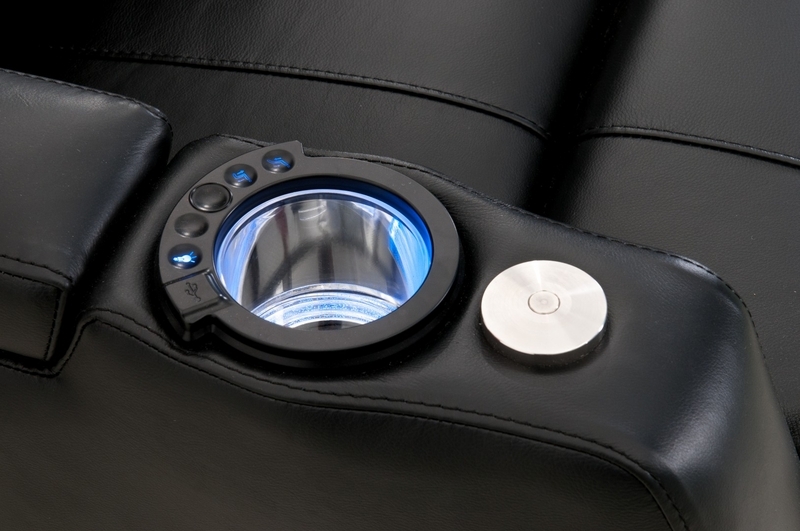 LED Lighted Cupholders with Power and Light Controls and USB Charger for phones & tablets. 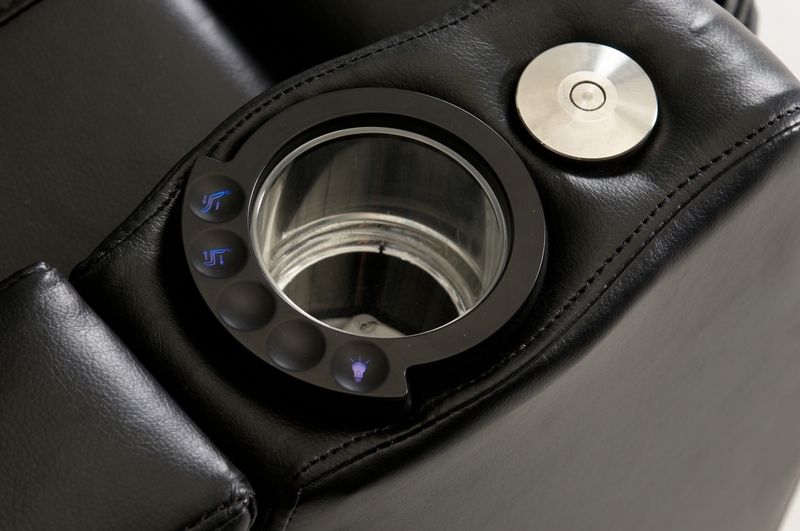 LED Cupholders have a removable insert for easy cleaning, one per cupholder. 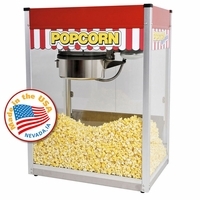 Fits easily through doorways with detachable seat backs. One Seat per box. Attach seat backs on site. Clearance needed 26" wide, standard doorway width is 32". 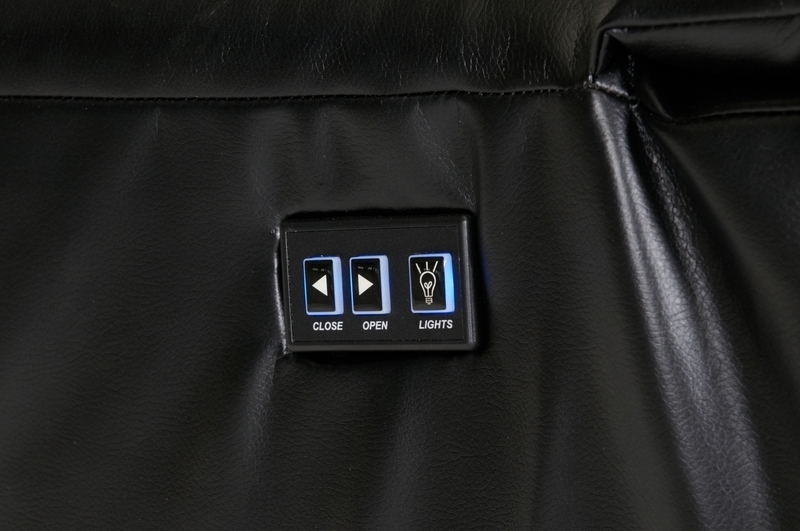 HTdesign Paget theater seating is the first space saver seat with storage arms for your tray table. Most other spacesaver seats have no storage arms. 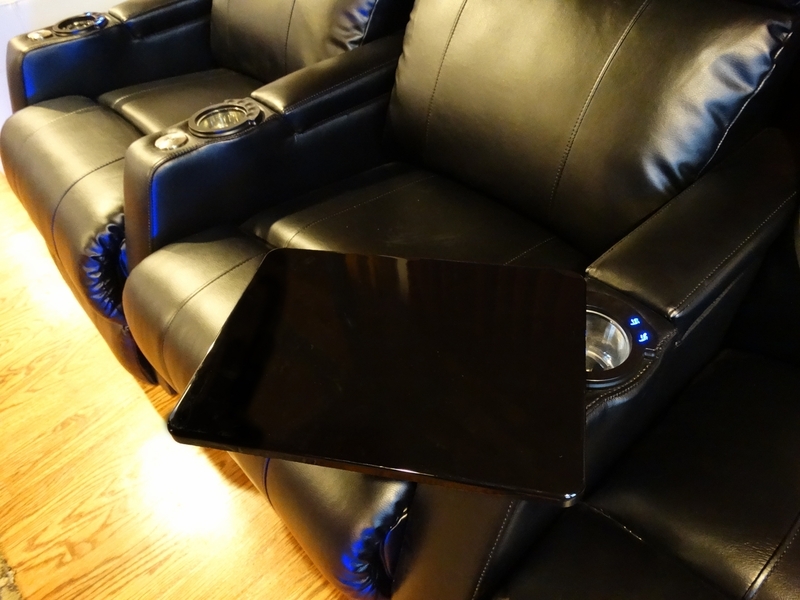 HTdesign has added the needed storage compartment for your tray tables and remotes. HTDesign features first class theater seating fast. The Paget is top quality seat with pocketed seat coils, kiln dried hardwood frames and high density foam. It provides head to toe support while providing unparalleled comfort. 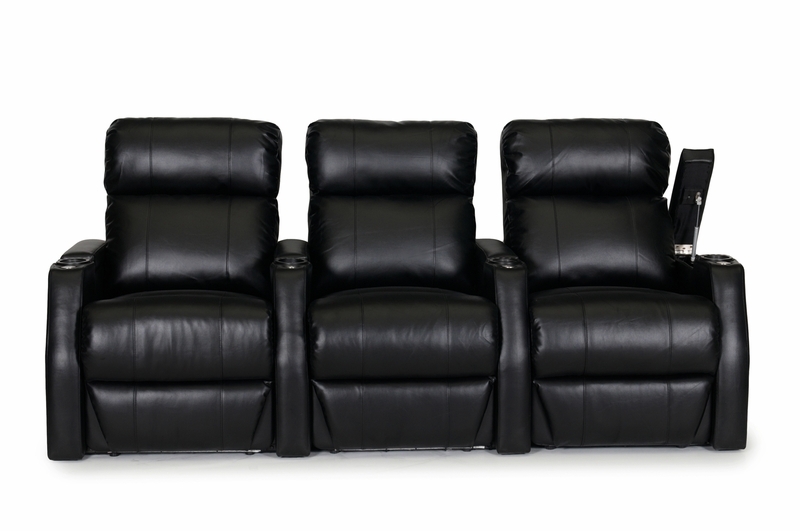 Back height from floor 42"
Space needed for recline 4"
Row of 2 is 63.25"
Row of 2 Loveseat is 58.50"
Row of 3 is 91.25"
Row of 3 RF or LF Loveseat is 87.75"
Row of 4 is 119.25"
Row of 4 with Loveseat is 114"
Row of 4 Double Loveseat is 108"
Row of 5 is 147.25"
Row of 6 is 175.25"
Row of 5 Couch 137.25"
*Row of 4 loveseat has 3 tray tables included. 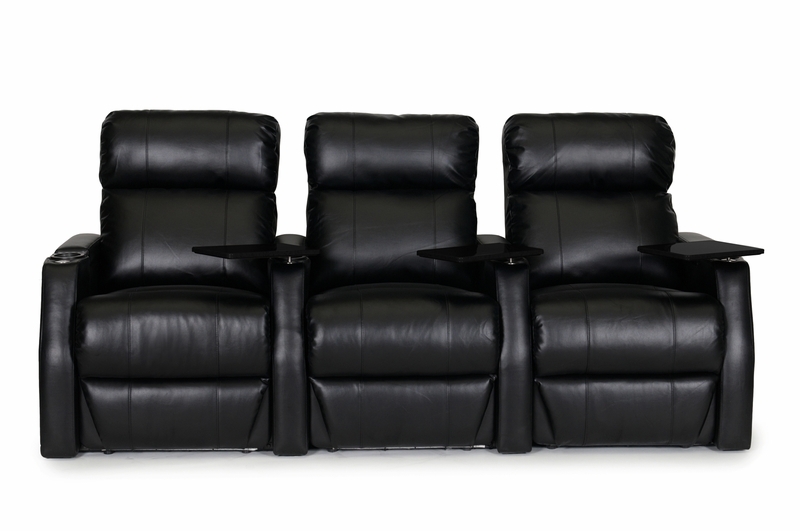 In this video we show how easy it is to set up and install your HTDesign theater seating. In this example, we show our popular Somerset model being set up. The set up is easy as in each box you will get everything you need to set up the chair. The box includes a bottom of one seat and the back of the chair. 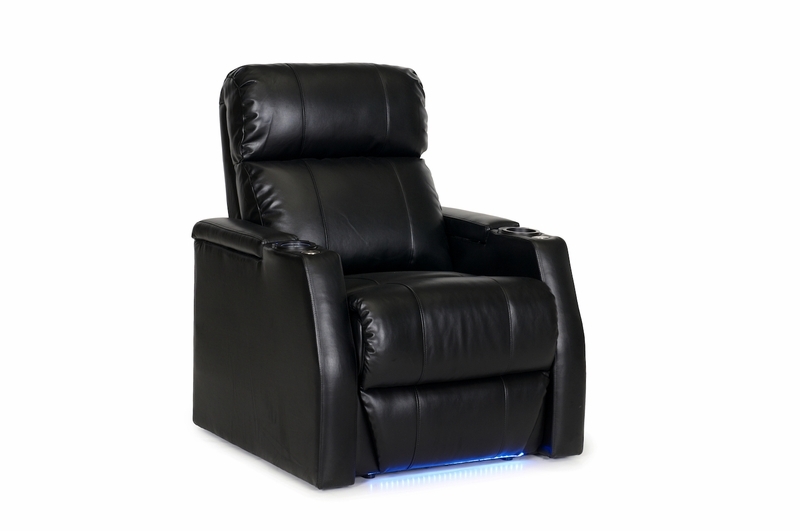 In the power chair models we include power cords and a transformer. You simply tip the chair and unravel the cord and plug into the wall. Watch for yourself! 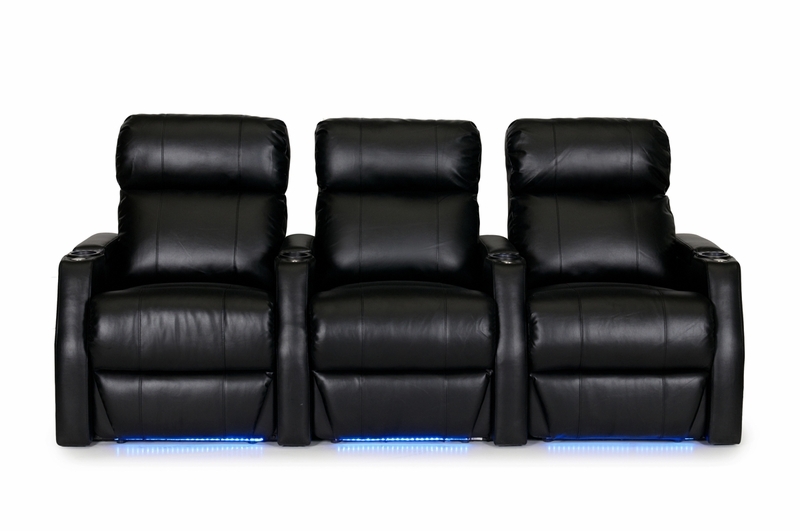 The HT Design Theater seating is renowned and highly rated by the home theater experts over at the AVS Forum, learn more about HT Design from the experts by clicking through to the HT Design Theater Seating Thread at AVS Forum You will find photos and feedback from many AVS Forum Members.